EOS Costa Rica - Geopolitical DiversitysteemCreated with Sketch. 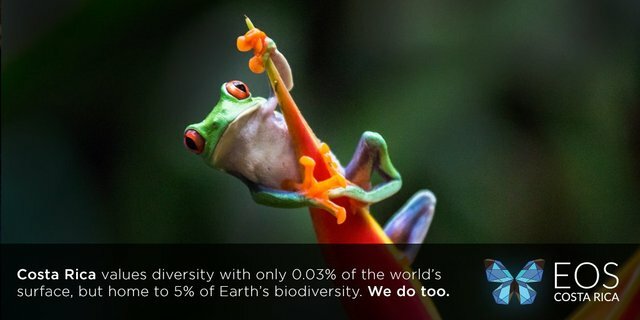 Costa Rica has a small land mass, but adds an enormous amount of Biodiversity to the world's ecosystem. EOS Costa Rica is also small, but adds vital Geopolitical diversity to the EOS network.